You Spoke, We Listened! Recently our team has been working to give you what you've been expecting all along, and what is that exactly? New Landing Page Templates! Our design team has created a full gallery of new landing page templates specially developed to improving your conversions. We've added several categories for different marketing goals, all with a mixture of new and classic components. All of them with its Mobile version and Confirmation Page. Still don’t believe us? Well just read on, but if you can’t wait to try them out, do it here! Because we know that every business is different with diverse products and customers, we've created several categories so you can find the perfect template for you and your goals. Also we know that you may have too many things in your head all at once and no time to design a Landing Page with a professional esthetic. That’s why our new templates were fully designed and created by our designers, so that all you have to do is choose your favorite one and that’s it! No need for you to think or design anything, just add your logo, your images or video, content and you’re all ready to roll! With each new template our primary focus in designing them was based on all the conversion optimization best practices currently available. We also thought about and considered any and all potential marketing goals and different ways these templates could best be put to use in any of your campaigns. Our Designers, along with our Marketing team, worked together tirelessly to make each new template the perfect combination of beautiful aesthetic design and conversions. So no matter if your goal is to increase visibility of your product, app or business, or if you’re just launching a new website or an event, you’ll find the the perfect template for any objective. To find out more about all that you can achieve with our new templates click here! These templates will help you to sell your app, services or work and are perfect for companies, individuals and professionals alike. The new templates will include: Social Integration, Striking Call To Actions, Stunning headlines, Beautiful Images, Adaptable Pricing Charts, Powerful Testimonials, Flexible Lead Capture Forms, Outstanding Videos and more! And of course these new templates will also include our recently added new features such as the new Countdown, Google Map integrations and also the new Fonts! 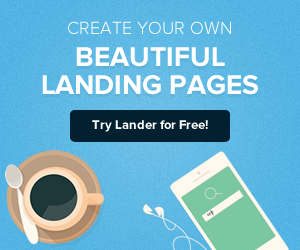 Here at Lander we work everyday to find the perfect Landing Page design that achieves the number of conversions you expect, then based upon our experiments and experience, we've created new and improved templates just for you. So just kick back and chill out, there’s nothing to lose! Launch out now with some new Lander templates and shoot your conversions to the stars! Meet them now! As we said, we thought about any potential business, objectives, products and goals. So without further adieu, meet our new 4 categories, and find out where you fit and which one’s you’re going to need. Products and Services: Use these templates specifically for your online or offline products and services. Just include any prices, features and images and you’re all done and ready to go! Try them here! Coming Soon: Are you about to launch a new product, website or even a new company and you don’t have a website up yet? 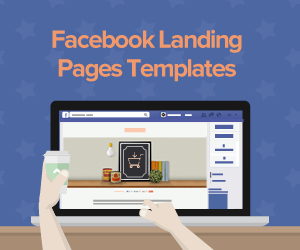 Then use any one of these Coming Soon templates and start capturing leads in mere minutes. Meet them now! Webinar & Events: Boost the attendance of your next online or live event with these carefully designed templates. Choose between webinar or live events. Read more here! Bio & Portfolio: Have you ever desired having a personal website all your own? Well if so, your dreams can now become reality! Find out more here! As you've already read, each template will come with its own mobile version and confirmation page so you won’t need to do anything! The whole package is already done for you. Just focus on selecting template, we've taken care of all the rest. Every Confirmation Page was created to coincide with each template so you won’t have to invest more time and work. 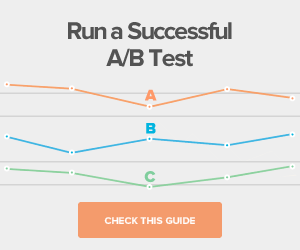 This is why we've built a specific confirmation page for each template so you can focus on your landing page and what really matters.. conversions! Also as you may already know, today more than ever you can’t afford to avoid mobile with your landing pages. And because we want to make everything as easy as 1,2,3, we’re giving you a mobile version for each template, specially created for smartphones alone. So from now on when it comes to your marketing campaigns we've got yah covered! Just relax and trust us when we tell you that we've thought about everything and covered all the bases, no more wasting time! 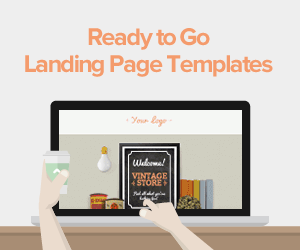 Just select the right template for your marketing goals and start using them now! Ok..now it’s your turn! We've done all the work for you and now it’s time for you to try them for free! There’s a special template waiting just for you, so choose the perfect one for your job, event, Business, Goal, Resume, Product, App and anything you think you’ll need! No reason to keep on searching for more. So know them, meet them, love them but most of all start using the perfect template for you. Don’t hold back! Get started here! Now that they’re out there, we’d like to ask you for something in return. Once you've tried them please let us know, did you like them? What’s your opinion about them? What’s your favorite template? What’s the next category you’d like to see? What would you add to any of our templates? Whatever comes to mind just drop us a line, we’re gonna keep adding new templates from time to time so we need your feedback, it’s really important to us. Know more about them here, and stay tuned for new Templates and new Categories!